Who would be taking my kid? Rideshares for Children and Toddlers? Can I bring my child in an Uber or Lyft? Do I need car seats for small children? Would you trust your kids to travel in a rideshare alone? Hailing an Uber or Lyft when you are in a hurry or want to avoid an impending rainstorm has become a habit for many urbanites. The ease of hailing a car with the push of a button, has changed the transportation industry and city life will never be quite the same. Uber and Lyft aim to make your life easy. Need a car that can fit 6 of your friends, done. Hailing a ride that will impress your client, UberBlack is on it. It seems as though between these two companies, most any transportation option is at your fingertips, except for one… a child friendly service. Uber and Lyft both have explicit rules about not allowing children under the age of 18 in their vehicles without a guardian present. While there are plenty of legitimate reasons for not allowing children to travel unsupervised in a rideshare, some parents are finding that a child friendly rideshare service would solve a lot of their daily commuting woes, especially when you are a parent of multiple children who are all engaged in various activities. One company, saw this market void, and developed a special rideshare service specifically designed for children. The company’s name was Shuddle, and they took extra precautions when hiring drivers to make sure they were child friendly and extremely safe. Unfortunately for Shuddle, the company was never able to get off the ground. However, since their demise, multiple other companies trying to become the token rideshare service for kids have taken their spot. The verdict is still out for many families on whether or not they would truly feel comfortable letting their child get in a car with a stranger, but for those of you who feel the benefits outweigh the risks, take a look at the list of companies below who strive to make sure there is a safe and convenient ride available for children. Available in Los Angeles, Orange County, the Bay Area, Denver, and San Jose. 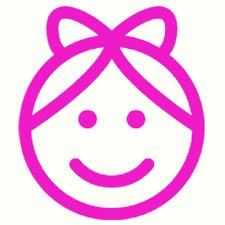 Created by three Moms, who value safety above all else, HopSkipDrive provides an easy, child-friendly service. From unique driver requirements that include 5+ years childcare experience to a comprehensive 15 point driver certification process, and even live tracking of your child’s ride, HopSkipDrive tries its best to make sure you feel comfortable allowing your child to ride with their drivers. A neat feature that HopSkipDrive promotes is the use of passwords between the kids and drivers to help insure that the kids are never getting into the wrong car. You can also create weekday rides for your kids right from the app or the website. Available in the San Francisco Bay Area. Zum is not only a rideshare service for kids, it is also a babysitting service as well. If you would like, you can add on extra features such as babysitting or having the driver stay with your child at their activity for an extra cost. As with other child Rideshare services, Zum has stringent background and safety checks, claiming that only 1 out of 5 driver applicants pass their process. With Zum, you can view your driver and their profile up to 12 hours before the ride, adding that extra safety precaution for parents. With Zum, you can book daily rides to school and back, or one-time rides to get your child to a playdate. Available in Ann Arbor, Michigan. 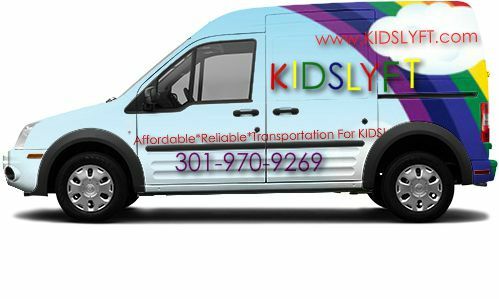 Kid’s Kruiser is small kid oriented rideshare company, that specializes in transporting your children to and from activities. Like other rideshare services for kids, Kid’s Kruiser upholds safety to a very high degree to insure their drivers are top notch. Kid's Kruiser has a service that will text you when your child has been picked up and dropped off, easing the mind of parents. ZemCar is not only a rideshare service for kids but it also specializes in giving rides to senior citizens. All drivers are taken through intense security and background checks and must meet for and in person interview and provide multiple references. ZemCars are heavily monitored with live video feeds. This allows parents to watch their child’s ride in real time or request that the ZemCar monitoring team watch the child. In addition, the monitoring team tracks the entire ride to make sure the driver stays on route. If he/she doesn’t, the team calls the driver to make sure everything is OK. Finally, parents can build their own team of drivers and place them in their “circle of trust”, this ensures that any time a senior family member or child needs to be picked up, a driver that the family knows and likes will be sent. *UPDATE* Sheprd is no longer active. Sheprd organizes popular ride routes from various activity facilites (YMCA, dance studios, camps, etc) within the town of Newton. Each ride costs a flat rate of $17. School aged children from K-12 grade are eligible to ride with Sheprd. Sheprd will try to match up routes for multiple children so your child will most likely share their ride with other kids heading to the same activities. All Sheprd vehicles are Land Rover SUVs complete with in-car WiFi, TV, and phone chargers. Sheprd is currently only availabe in Newton, MA. Use Code "RIDEGURUSHEPRD" to get your first ride free! Available in New York, NY. Since 2006, Kid Car has provided safe and convenient transport to children and parents in New York City by providing specially trained and vetted drivers with age and weight-appropriate, properly installed car seats. Younger children can ride with parents and caregivers around town and/or to the airport while older children can ride unaccompanied to school and after-school activities. Kid Car provides 3 car types: Sedans which fit up to 4 passengers with two forward-facing car seats or 3 passengers with 1 rear-facing car seat; Minivans which fit up to 5 passengers with three car seats; and SUV's which fit up to 6 passengers with four car seats. Kid Car accepts both on-demand and advance reservations. Available in Charles County, MD, Prince Georges County, MD, Montgomery County, MD, Howard County, MD, Washington, DC, and Northern Virginia. *UPDATE* Kid's Lyft is no longer active. Kid’s Lyft is a small company started by a mother who saw an opportunity. Kid’s Lyft is exactly what it sounds like, a Lyft service specifically designed for kids. 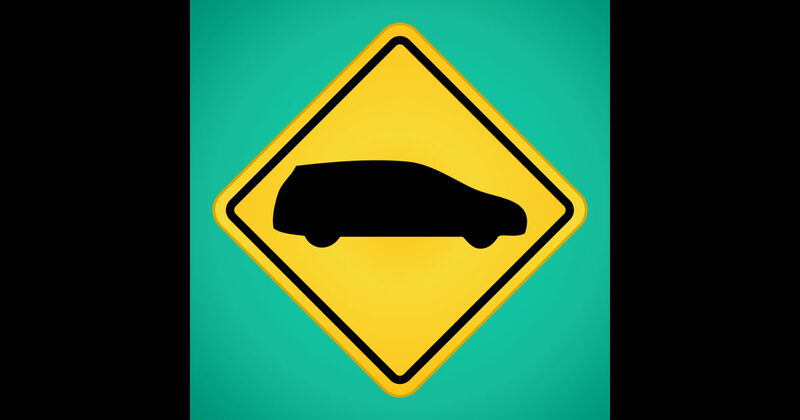 Drivers must go through comprehensive background and safety tests as well as always wear their uniform and outfit their car with the Kid’s Lyft symbol. Kid’s Lyft does allow parents to request personal drivers, if you become comfortable with one person. Available in San Francisco Bay Area and Los Angeles. Kango is an app-based rideshare service in the San Francisco Bay Area and Los Angeles that enables you to schedule rides and childcare for kids, from preschool to high school. All Kango drivers and sitters are pre-screened with in-person interviews, background checks, fingerprinting, and must have prior experience caring for children. Kids do not need a mobile phone to use Kango as everything is set up in advance. Not only does Kango offer rides and babysitting services, they also offer a platform that allows you to connect and chat with nearby parents, for free. This way parents can also use the platform to set up carpools and play dates. Kango is available as a monthly subscription ($9.00 a month) with subscribers also paying rideshare ($16 minimum for each trip) and babysitting ($15-$20 an hour) rates for each time they use the service. Bubbl is unique in that their rides are given by throughly vetted off-duty or retired police officers. 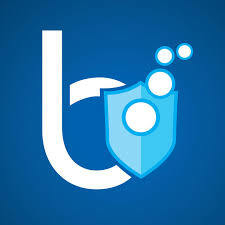 Bubbl drivers exclusively drive vehicles owned, insured, and maintained by Bubbl, instead of their own cars. At the moment all Bubbl kids rides must be prescheduled either through their app or by phone. Bubbl accepts all kids and young teens from 8-17 years old to ride. Bubbl rides start at $17 per child for the first two passengers, and rides are charged through your on file credit card. 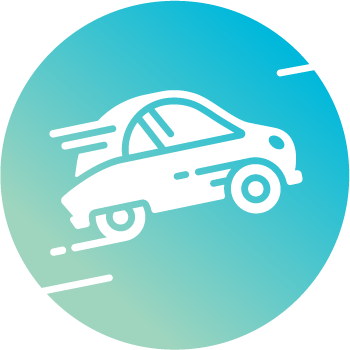 The Kidmoto app connects parents to a network of professionally-trained drivers that provide secured child car seats for safe airport car transportation. Kidmoto can provide between 1 to 4 fully harnessed and installed child car seats. Kidmoto has 3 vehicle types available, sedan, minivan, and SUV. Prices are currently all flat rates based on distance. Kidmoto is available in the NYC area. No set location, available for use anywhere. Carpool kids is an app that allows parents to organize carpools for their children's activities. The app allows you to create carpooling groups with families you are already familiar with, it is not a rideshare app where you hire an outside driver. Scheduled carpools sync up with your iphone's calendar to make it easier to remember your child's schedule. At this moment the app is only available on iOS but you can sign into your account via their website if you wish to use their features but do not own an iPhone. Kibzy is an app that allows parents to organize carpools for their kids. Kibzy provides a platform that connects parents who are already friends as well as facilitates connections to parents you share activities with, but have yet to meet. The Kibzy app offers real time tracking as well as ride reminders, pick up notifications, and drop off confirmation. There is no charge to use Kibzy and set up rides, however, Kibzy will give points everytime you offer to drive someones child, this method of "carma" allows you to give back to the parents who are helping you or your community. Pogo is an app that allows parents to organize rides for their kids through shared connections. The Pogo app is not a ridesharing app for your kids but a way to find other parents who are driving the same routes as you, allowing you to connect and create carpools for your children. Once you have created shared rides for your children you can track your child's ride in real time to ensure that they arrived at their destination safely. Pogo helps to connect you to other parents in your community that you may either know directly or through a mutual friend, so you are never placing your child with a complete stranger. 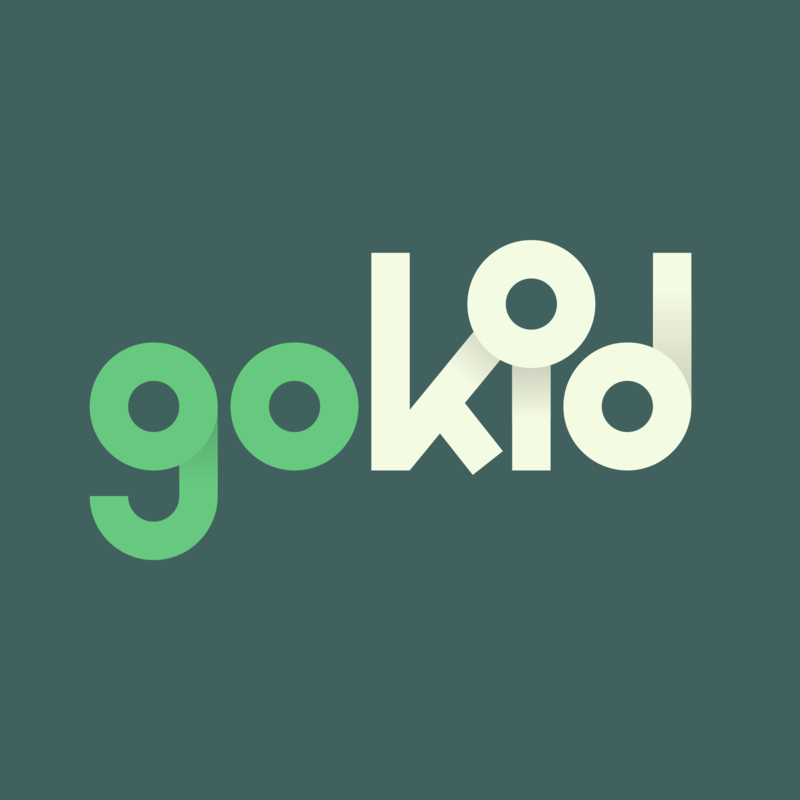 GoKid is an app that allows parents to easily communicate and facilitate carpools for their children's activities. The app is more of a replacement for long email chains than a ridesharing app as you create carpooling groups with families you are already familiar with. The app does include GPS-based tracking of cars, live mapping functionality, and in-app texting which all make life a little simpler when trying to coordinate carpools. It also tracks and sends reminders to the parents as to whose turn it is to do the driving. Figure8 is an app that allows parents to arrange carpools with other parents (from your list of contacts), keep track of your littles ones’ activities, get reminders on their schedule, and stay in touch with other parents. The app is another replacement app for long email and text chains when planning carpools with other parents. The app does include GPS-based tracking of cars so you can see where your children are at all times. It also optimizes routes for your group so you know which children should be picked up first/last to save drive time. There is no monetary exchange with Figure8, instead parents take turns driving the carpool. If you are looking to travel with your kids, please check out our Uber and Lyft help article on traveling with children and our list of top travel friendly car seats. Here are some useful and relevant topics. Can I take my baby in the back of the car with me like I can in a taxi? Does Uber ever carry car seats for children? Can I get a car with a car seat? If you live in New York City, www.KidCar.net has been providing safe transport for children for more than 10 years with vetted and trained driver and age and weight-appropriate, properly installed car seats. I am running into the same problem in Tampa, Florida. Downtown is growing but the transit is poor. I don't know how much longer I'll be able to leave work early to pick up my child because of a 15 minute difference in schedule. Only option is aftercare, but to pay for 15 minutes of care, I would rather spend that money on some type of ridesharing geared towards children. If anyone is interested Tampa, Florida needs this kind of service. Looking for a ride for a high schooler to/from school in the Dallas TX suburbs. Some off-duty police here in D-FW have started a ride-share for kids, but it's only in a very limited area. That's such a great idea to have the off-duty police driving. Hope this spreads across the country! @AliceLongAnderson Can you tell me the name or the website of that service in Dallas? It sounds interesting! I like how they are off-duty police officers. That's a pretty good credibility, if you ask me! Any RideShare service for kids in Orlando, Florida? We at RideGuru haven't heard of any yet. It's great that there are so many niche rideshare services out there like those for children. It's really adding some diversity to the rideshare industry. With that being said.... not sure if I'd ever let my child get into the car by themselves. Not with everything happening in the news. I know it's not common, but still, I'm not comfortable with the slightest chance. Great idea, I wonder how many parents use these. Umm, I think underage kids, at least teenagers, use Uber all the time. parents love them. You get to know where they are, literally through GPS, can track their expenses, and no cash needed. Sounds like an ideal solution to me. Did Kid's Lyft go out of business? their website isn't working and I can't find any contact info for the company. Thank you for any info you might be able to provide. Hi, Thanks for pointing this out to us. It does appear as though Kid's Lyft has gone out of business, we will take this company out of the article. Sorry for the confusion! It's nice to know there are companies out there that will give rides to my kids that are safe and I can trust. Looking for a ride service for my 12 year old to go from Charlotte to Raleigh or Charlotte to Blacksburg Virginia. Anything available. My wife once told me about a service called LEO that used Tesla's and charged $100 or $150 but I can find anything out there on the internet.